This article is part of the Pioneers and Pathbreakers special section in Leonardo that will include articles dealing with the history of developments in the arts, sciences and technology. The aim of these sections is to establish reliable, selected, online documentation about 20th-century artists, scholars and institution builders whose works and ideas are considered seminal in the development of technological art. ABSTRACT: There was computation long before the computer—and there were artists, seduced by the beauty of mathematics, who integrated computation in their creative endeavors. With the advent of the digital machine the relation between aesthetic artifacts and computation was redefined. The article reports on images produced between 1965-1970. The generation of images associated with mathematical formulae, raised questions regarding art’s condition and the nature of creativity. These are addressed from the perspective of aesthetic experiments. Through dedicated experiments involving computers, in Eastern Europe, particularly in (communist) Romania, artists strove for artistic freedom. This article is a part of the ongoing Leonardo Special Section: Pioneers and Pathbreakers. Art is made by artists. I am not an artist. To qualify as art, my work would have to meet the criteria that inform my understanding of art: creativity (“birth”); originality; intentionality— purpose driven. Nothing less justifies the qualifier. Regardless of what it takes to make art (one’s fingers, a brush, exacto knife, etc.). There is no such thing as “more or less” artist. 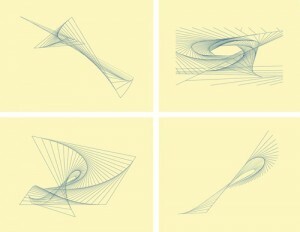 What defines an activity (making art, conceiving mathematical theories, etc.) as creative was my subject of interest back in the 1960s—when I first touched a computer. It still is, in these days when I am focused on predictive and anticipatory computing , and other attempts to emulate human expression. For me, art is the outcome of an anticipatory activity. My understanding of computation was based on what I studied in college. Education in science and engineering underlay my early attempts to generate images, sounds, and, later, to make animations and games. Most of all, I wanted to describe what kind of knowledge, if any, undergirds the act of drawing, painting, turning sounds into melodies, movements into dance. Could images made from instructions given to a machine—regardless which machine— eventually be accepted as paintings? Are sculptures, music, and theater an output of a contraption trained to make them? Was it all knowledge, or was something else at work as well? The question invited the act of doing, not speculation about it. Hindsight observation: My first experience with a computer was years before I even heard the word. 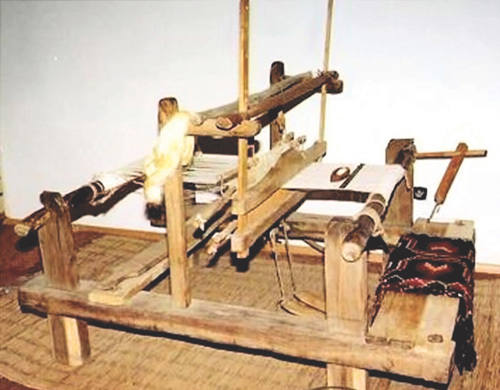 Around 1954, I saw a weaving machine. It was called rÄƒzboi de Å£esut in Romanian—a strange name, literally “war for weaving,” suggestive of the “battle” to integrate the rows and columns of various threads into a coherent image with an aesthetic identity. 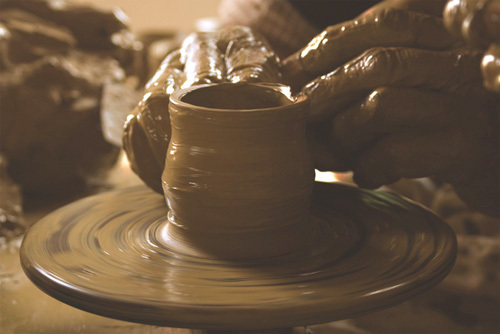 The artisanal machine embodied the metaphor of creation: every birth (creation in pure form, originality, intentionality) is the outcome of inspired love, insemination, many struggles, pain— all in anticipation of, not in reaction to, the final work. The machine itself—a wooden frame with a few controls—was an aesthetic artifact: elegant, yet functional, easy to handle, yet very sensitive to the weaver’s touch and choices. It had a clear intentionality. Weaving can be art— reflecting the weaver’s talent—or manufacture—a productive ability different from artistic creation. In both cases, it involves machine language programming—zeros and ones, set by hand, and sometimes changed on the fly. Of course, Joseph Marie Jacquard’s punched cards (later continued by Herman Hollerith, and eventually made into a calculating device by Howard Aiken) and Charles Babbage’s Differential Engine came to mind, many years after the artisanal loom impressed me. They are implementations of algorithmic computing (Essinger ). As automated machines, they are negations of the interactive nature of creative processing on the loom. Back to my early involvement with computers. I studied computers within a university (Bucharest Polytechnic, 1955–1960) that, to start with, had no machine. We built logical gates with electronic tubes, and later with transistors. My colleagues and I were versed in Boolean logic, but not in programming languages. The programs I wrote were debugged by hand—no hardware to run them on. Finally, the chance to see the computer: stacks of cards, a rudimentary monitor, dials, thousands of vacuum tubes. In my imagination the machine should have been no less exciting than a loom. It was not. Neither was the outcome of processing. On those rare occasions when my ability to adapt to the stringencies of machine language programming (and to the hexadecimal and the tetrasexagesimal system) made sense, all I got were strings of numbers, something requiring further deciphering. Important dates: February 1964—the oscilloscope, i.e. the cathode ray tube (CRT) allowed me to see the “dance” of curves representing mathematical functions processed on an analog device. 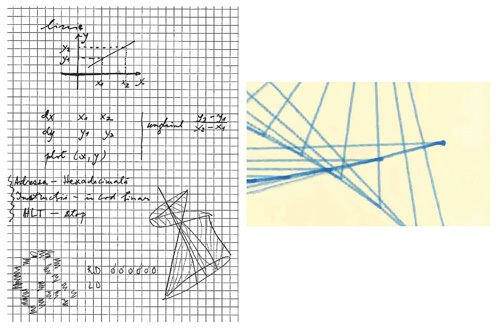 May–August 1966—what does it take to draw a line point by point (raster was not yet in my vocabulary). The CRT was no longer a choice for seeing what I was trying to “draw.” Only after I improvised a printer could I finally put on paper what I thought should be the outcome. In an article in Leonardo , I gave some examples of my early work (see more below). The crummy paper, by now yellowed and probably soon to disintegrate, testifies to a time when nobody thought of acidfree paper, not to mention archival quality printing. The lines are bluish, the “printer” often dripped. I used fountain pen ink, a cheap concoction with a lot of sediment that blocked the syringe needle (used as a kind of a pen). The thickness of the lines varied, but not because I was able to make them of various weights (I wish I could have). What you cannot see in these images is my confusion: Is this all? Drawing by hand was faster and more accurate. The loom was so much better. Or was it the artist who operated it? Indeed, Rembrandt’s brush in my hands, or Picasso’s various “tools,” Pollock’s “dripping” utensils (sticks, trowels, the knife used to splatter paint, etc.) will not make me the artist they were. I never doubted that the loom—an interactive machine—could output art; I never questioned the artistry of the “3D printing” on the potter’s wheel—yet another interactive machine with extremely subtle (analog) control mechanisms. The benefit of being exposed to such creative processes is that once I got to know computers, I realized that while equivalent in many ways (at least in the mathematical description of what we call automata), they were also essentially different. Weaving is an interactive experience, open to randomness, to intuitive choices, to spontaneity. Algorithmic computation is an automated process unfolding according to a recipe: this is what it takes to draw a line. In hindsight I understood that on the loom, the recipe (“algorithm” is what we call it today) and free choices (which we today call “non-algorithmic”), most made spontaneously as in any interaction, fuse into the surprise and discovery characteristic of art. At least in my understanding of it. Art is not reducible to a formula. It is not algorithmic. Production (and re-production) is algorithmic. But at that time, I could not come up with such words, even less with such an understanding. Now back to my narration: the foresight of practicing computation. In Romania of that time, of many deprivations, to think freely was even more difficult than to get access to a computer. It was a polarized world: the communist regimes demonized cybernetics and computation as instruments of diabolical capitalism. The new machines were conceived predominantly for military purposes. It was in this context that one of Romania’s brightest minds, Grigore Moisil, exercised his genius (humor and charm being part of it). And voilÃ , an IBM 360 made it to the University Computer Centre (CCUB), located at Mircea Vulcanescu 125. (Before that there was a British ICT machine used for the census.) After Romania built machines , access to computers became easier. This explains why, since the early 1970s, Florian Maxa and Mihai Jalobeanu used them. Ileana Bratu (a subtle intellectual) and Serban Epure interested me personally. Adina Caloenescu, Francis Goebész, among others, from Cluj, TimiÅŸoara, and Bucharest displayed art for which they used computers. It was a time of opportunities. The most advanced aesthetic experiments, fully convincing even today, were those of musicians and composers discovering the expressive possibilities of computation. Indeed, given the fact that music and mathematics are intertwined, and that they used computers as instruments, with which they interacted, Aurel Stroe, Costin Miereanu, Octavian Nemescu, Lucian Metianu, and others proved that a new aesthetics became possible. It was not algorithmic, I must repeat, rather based on interactive computations. I was among those who took advantage of opportunities to explore new aesthetic possibilities, helped by colleagues and professors who encouraged my thinking (Liviu Sofonea among them). However, I wanted to make images and sounds for reasons different from those that motivate artists. Fully aware of the more than modest achievements—intersections of curves, attempts at describing concave and convex functions, ambitious formal descriptions of what is called the dynamics of the image—I showed my images to Moisil. He gave me his lectures  (on the logic of nuanced reasoning). The dialog that ensued was way more useful than the many weeks I spent trying to make those images. For the sake of accuracy (since I did not take notes), I will quote Moisil from a published text: “Almost all professions? will utilize computers. Computers do not run on their own; in order for them to run, they need people skilled in driving them.” On a different occasion (I had just finished my PhD in Aesthetics at the University of Bucharest, 1968–1972), he was specific in reference to computers and the arts: “Information science reestablishes the unity of pure mathematics and applied science?it reconciles art and science, not only in the hearts of scientists, where they were always in harmony, but in the minds of everybody” . Art, in his view, is close to multi-valued logic and probably transcends our ability to describe the way it was created. Keep in mind: this was Romania in 1973 (shortly before Moisil died). Those were visionary thoughts. Many ideas came up in various conversations with others or through reading. Let me limit myself here to Matila Ghyka  (incidentally, ahead of Le Corbusier’s Measure of Man ), and Pius Servien . Since they were living in the West, access to their writings was extremely limited. Their names could not be mentioned openly. In addition to Moisil, I had the chance to spend time with Solomon Marcus. His genius in bridging between mathematics and semiotics most certainly influenced my intellectual path, and continues to inspire me. We never discussed my images, but quite frequently issues of aesthetics. Art came up in relation to Max Bense’s informational aesthetics: “Nur kunstliche Kunst!”(Only artificial art) was his provocative formula . Randomness was supposed to compensate for the lack of life. The myth continues to have currency even in our days. In touch with the Stuttgart School—famous for stimulating the first computer art show in Europe at the Galerie Niedlich, Stuttgart, November 1965—I wanted my images to be discussed. They triggered the curiosity of those who coalesced around the rather temperamental master that Bense was. Siegfried Maser (intent on numerical aesthetics ) facilitated my contact with the group. We shared an interest in aesthetics, but not in our understanding of creativity. Frieder Nake , the mathematician turned artist of the computation age—yes, he is an artist—remains a close friend to these days. Aesthetics, semiotics, and computer graphics are subjects upon which we endlessly dwell. But with these reminiscences I am a bit ahead of myself—as is the case with foresight. Looking back at my early images and considerations of the computer’s role in generating aesthetic artifacts, I can identify the questions I was trying to address. Machines are efficient in producing sameness, not uniqueness. Would that mean that computers, by their condition, are not conducive to creativity? Warhol would later practice the aesthetics of sameness—challenging uniqueness by creating—alas!—unique aggregates of same objects (the famous Campbell Soup Cans series, Brillo Boxes, etc.). Moreover, all beginnings (of children, ideas, theories, for example) are mimetic. Imitation is the first step towards one’s own expression. Are machines bound to remain a medium of imitation? (A. Michael Noll , early computer graphic author, for example, thought he was making art when he produced images Ã la Mondrian). What kind of art can be generated with computers that could not be made otherwise? This last question remains as important today, after more than 50 years of computers and art, as it was in the early days. In the Panel Session on The Aesthetics of Computer Graphics that I chaired at Siggraph’85 , the subject was passionately debated. Out of the entire panel, only Hiroshi Kawano understood my argument. Indeed, I offended computer graphics industry leaders and self-declared computer artists when speaking about the dangers of “canned” art, suggesting that “If you saw one computer image you saw them all.” I stick to these pronouncements. The record of accomplishments, as impressive as it might appear to those not prepared to critically evaluate the outcome, pretty much confirms them. But the digital revolution is still at its beginnings. My call was to artists to use computers as exploration tools, as media of interaction, as multipliers of opportunities beyond the traditional forms of aesthetic expression. Yes, a new aesthetics became possible for those dedicated to creatively appropriating computational means. I learned later that Lars Gunnar Nordstrom (Nubben ) used the formula “I construct art mathematically.” Maybe that is what I was after, long before I discovered his impressive art. All formal aspects of art can be encoded in programs. The golden section and the Fibonacci series are but two examples (actually one, since the two are formally equivalent). Color and various rhythmic characteristics can also be easily handled through programming. Could it be that art is possible only within the coherence brought about by the golden section? Or by some other qualifiers (such as rhythm, symmetry and contrast)? If you take all components (canvas, pigments, lines, proportions, etc.) and you “remix” them, would the new artifact qualify as art? Of course, intentionality cannot be ignored. But we do not know how to express properly describe it. A parallel to the sciences will explain the reason for the questions articulated above. Physical constraints (such as gravity, particle mass, forces of interaction, etc.) seem to be “written in stone”—change one and the world collapses (according to what became the Standard Model of Physics). What are the necessary “ingredients” that qualify art as such? Change the What (rhythm, color, scale, etc.) and does the sublime work of art become a pile of junk? Science, expressed in laws, is subject to experiment. Is art, as an outcome of sui generis experiments—the explorations carried out by artists—subject to the same validation principle? Is the domain of meaning (the Why? of art) subject to validation through test? Can we talk about reproducing the experiment when in fact art is the domain of uniqueness? 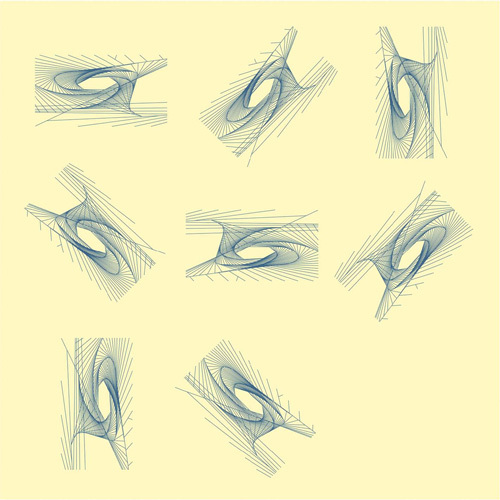 If you could exactly reproduce its making (von Neumann’s challenge ), would it still qualify as art? Walter Benjamin’s essay  acknowledges the change of art over time, but also captures the intimate relation between original and reproduction. The “champions of deep learning” of our time speak about art in reference to their impressive accomplishments, and impressive they are, even though in reality they only deal with its syntax (the How?). Art qualifies as discovery as much as science does. It is not the answer it advances, but rather a new way of questioning. Machines do not formulate questions. While numbers (big or small data) might underlie aesthetic processes, the domain of art is ultimately that of meaning. My early images made me aware of this more than all the classes I took in art history and aesthetics. Most important in the experience I brought up in these pages is something that has only marginally to do with computers. Of all I know from those who were the early computer artists—Nake, Herbert Franke, Georg Nees, Manfred Mohr, Laszlo Mezei—theirs was a dedicated effort in a world rather skeptical of what they were trying to accomplish . It was more exotic than aesthetically challenging. My situation was different. In a context of limited freedom, the computer as a medium for aesthetic experiments was a chance to avoid censorship and rigid prescriptions (e.g., Socialist Realism as the only acceptable form of artistic expression). Enthusiasm in a gray authoritarian political system is relatively rare. But that’s what it was—an expression of hope. Epuré started at the Polytechnic Institute two years after I did, but he never finished. He was expelled (as “untrustworthy”). As tough as it might have been at the time, it did not stop him from becoming an artist, who eventually made his way to America—and is still at work in ascertaining his originality. By that time he had already invented (ca.1968, if I can remember) his own “art medium,” the S-Band. Hardware, software and the generated art constitute a syncretic entity. Under a regime of many prohibitions, we had the enthusiasm—and the broader horizon. This eventually translated in works of art and in new directions still not fully acknowledged. “History is cruel”—I was reminded that Frank Malina said it, taking note of how unfairly credits are given to those who made space exploration possible. The same remark would apply to computer art beginnings in Eastern Europe and the Soviet Union. Invited (2009) to address the compart group that Nake leads—its goal is to create a repository of digital art—I named those colleagues from Yugoslavia (the Zagreb Group), from Hungary and Poland, from the Soviet Union and East Germany who tried on their own to produce art based on computation. No matter how cruel history is, I want to believe that my friends—artists from those years of early experimentation with computers—will eventually get the recognition they deserve. Happy to root for their recognition, I am grateful that I was able to accompany them—that’s what a theoretician does, and that is who I am—through the years with my thoughts on creativity. The early experience with the computers I used to make images (and not only) helped. 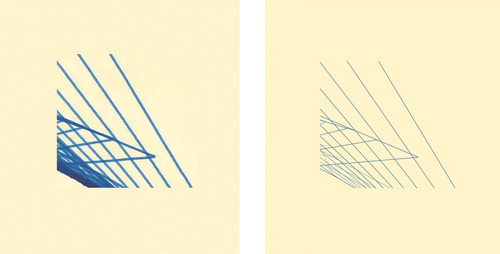 Over the years, I profited from conversations with Harold Cohen, Manfred Mohr, Helmut Franke, Georg Nees, Frieder Nake, and others who themselves were among those who produced computer images early on. My interactions with Max Bense, Grigore Moisil, Solomon Marcus, Lotfi Zadeh, Alexander Calder, and Dale Chihuly affected my understanding of the relation between art and science. I want to acknowledge the help I received from Virgil Pirvulescu in my attempt to reconstruct my early images on a Wang 2000B machine during the time I taught at the Polytechnic in Brasov, Romania. Asma Naz contributed substantially to the preparation of the images used in this publication. I am grateful to the three anonymous reviewers for suggestions, which I tired to incorporate herein. 1. 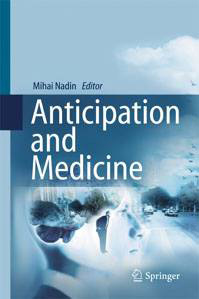 Mihai Nadin, “Anticipation and Computation: Is Anticipatory Computing Possible?” in Anticipation Across Disciplines, M. Nadin, ed., Cognitive Science Monographs. (Cham CH: Springer. Vol. 26, 2015) pp. 163–257. 2. 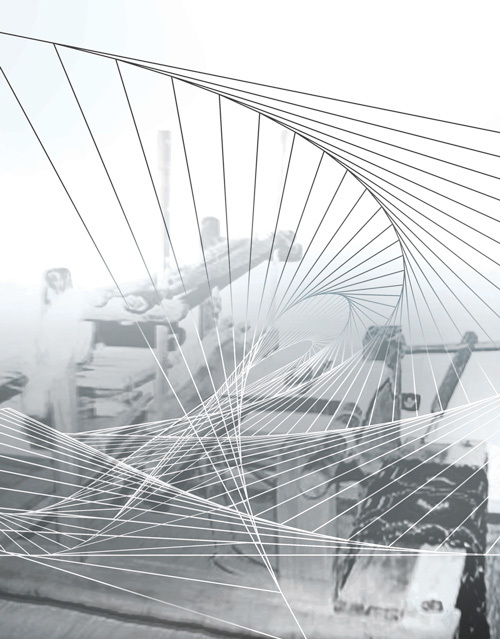 James Essinger, Jacquard’s Web: How a hand-loom led to the birth of the information age. (United Kingdom: OUP Oxford, 2004). 3. Mihai Nadin, “Science and Beauty” in Leonardo, 24:1, 1991, pp. 67–72. 4. The long (and arduous) path towards the acculturation of the computer in Romania was no simple matter. Charles de Gaulle’s visit (1968) to Bucharest opened an alternative: what Americans would not deliver to a communist regime (the COCOM policy), the French, themselves subject to American restrictions (after having left NATO) on what kind of computers they could buy, would provide. At the beginning of 1969, some IRIS 50 computers, together with the corresponding technology, were bought from the French company Compagnie Internationale d’Informatique, with the aim of producing them in Romania. 5. Grigore Moisil, Lectii despre logica rationamentului nuantat (Lectures On the Logic of Fuzzy Reasoning) (Bucharest: Editura Stiintifica, 1975). 6. Grigore Moisil, Contemporanul, 15:1378, 6 April 1973. 7. Matila C. Ghyka (1881-1965), novelist, mathematician, historian, philosopher. 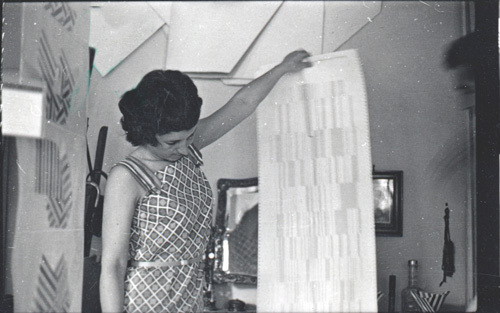 After World War II, Ghyka fled communist Romania, and was visiting professor of aesthetics in the USA, at the University of Southern California and at the Mary Washington College, Virginia. Reference is made to his Esthétique des proportions dans la nature et dans les arts (Paris: Gallimard, 1927), Le nombre d’or. Rites et rythmes pythagoriciens dans le development de la civilisation occidentale (1931), Essai sur le rythme (1938). 8. Le Corbusier, The Measures of Man, O. Cinqualbre and F. Migrayou, eds. (Chicago: The University of Chicago Press Books, 2015). 9. Pius Servien (1902-1953), pseudonym for Piu-È˜erban Coculescu. Known for his studies on rhythms. Acknowledged as one of the founders of mathematical linguistics. Reference is made to Les rythmes comme introduction physique Ã l’esthétique (Boivin: Paris, 1930) and Principes d’esthétique: problèmes d’art et langage des sciences (Boivin: Paris, 1935). 10. Max Bense, Einführung in die informationstheoretische Ästhetik. Grundlegung und Anwendung in der Texttheorie (Reinbek bei Hamburg: Rowohlt, 1970). See also: Christoph Kluetsch “Information Aesthetics and the Stuttgart School” in Mainframe Experimentalism: Early Computing and the Foundations of Digital Arts, H. Higgins and D. Kahn, eds. (2012). 11. Siegfried Maser, Numerische Ästhetik—Neue mathematische Verfahren zur quantitativen Beschreibung und Bewertung ästhetischer Zustände (Stuttgart/Bern: K. Krämer 1970). 12. Frieder Nake, Ästhetik als Informationsverarbeitung (Vienna: Springer 1974). 13. A. Michael Noll, “Art Ex Machina” in IEEE Student Journal, Vol. 8, No. 4, (September 1970) pp. 10–14. 14. Mihai Nadin, “The Aesthetics of Computer Graphics” in Leonardo (supplemental issue), Computer Art in Context: SIGGRAPH ’89 Art Show Catalog, Vol. 2, 1989, pp. 43–48. 16. John von Neumann, “The general and logical theory of automata” (from the 1948 Hixson Lecture), John von Neumann Collected Works, A.H. Taub, ed. (New York: Pergamon, 1963). 17. Walter Benjamin, “Das Kunstwerk im Zeitalter seiner technischen Reproduzierbarkeit” in Zeitschrift für Sozialforschung (Leipzig: Verlag C.S. Hirschfeld, 1936). 18. Erwin Schrödinger, What Is Life? (Oxford: Cambridge University Press, 1944) (See also: “What Is Life?” in Nature, January 19, 1929 and September 14, 1929). 19. Walter Elsasser, Reflections on a Theory of Organisms. (Baltimore: Johns Hopkins University Press, 1998). Originally published as Reflections on a Theory of Organisms. Holism in Biology (Frelighsburg, Quebec: Orbis Publishing, 1987). Mihai Nadin, currently Ashbel Smith Professor of Computer Science and Interactive Media at the School of Arts, Technology, and Emerging Communications, and Director of the antÉ – Institute for Research in Anticipatory Systems at the University of Texas at Dallas. He introduced computers at the R.I. School of Design (1983) and established the first-ever Computational Design Program (1994). Taught at Universities in Europe (München, Essen, Wuppertal, Bremen), and the USA (Rhode Island School of Design, Brown University, Rochester Institute of Technology, The Ohio State University, Stanford University, University of California at Berkeley).